Black Hot and Cold Container - 12 oz. Straw Wrapped Red - 10.25 in. Stirrer Slim Red - 7.75 in. 4 Compartment Platter with Lid - 13 in. Salad Bowl - 160 oz. Salad Bowl - 320 oz. Black Serving Spoon - 8.5 in. Black Pet Partipak Special Occasion Tray - 18 in. Clear Pet Salad Bowl Lid - 80 Oz. Plastic Flat Black Pearl Forum Tray - 16 in. Container High Dome Plastic Clear Forum Collection Cover Lid - 16 in. Forum Tray 3 Compartment Black and Clear - 16 in. Jumbo Wrapped Straw White - 8.5 in. Forum Deep Well Plastic Plate Black - 9 in. Giant Wrapped Straws Black - 8.5 in. Forum 4 Compartment Plastic Container with Clear Lid - 14 in. Giant Straw Wrapped Green - 9 in. Giant Wrapped Red Straw - 7.75 in. Forum High Dome Lid Square - 9 in. Forum Deep Plate Black - 7 in. Low Dome Forum Plate Lid Clear - 7 in. Forum Plate Dome Lid With 4 Vent - 9 in. Lid Container 9 Low Dome Plastic Clear Cover - 9 in. Entree Oblong Flat Rim - 48 Oz. Entree Oblong Flat Rim - 32 Oz. Entree Oblong Flat Rim Lid Vented - 10.25 in. Straw Giant Wrap Red Bagged - 10.25 in. Pan Steamtable Foil Rectangle Oblong Medium Aluminum - 0.5 in. x 2.18 in. Straw Giant Wrapped Red White Stripe - 10.25 in. Giant Wrapped Ebony - 7.75 in. Red White Stripe Wrapped Paper Plastic Milk Straw - 5.75 in. High Dome Forum Plate Lid Clear - 7 in. Compartment Forum Plate Black - 9 in. Plastic Black Microwavable Plate - 10.25 In. Plastic Black Jet Fine Plate - 9 in. Square Tray - 12 in. High Dome Lid - 12 in. Plastic Cold Black Cup - 5 Oz. Pizza Pan Round - 10 in. Flat Lid Stackable Vented 4 To 5 Oz. 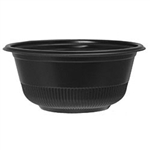 Forum Comp Tray Black - 16 in. A leader in foodservice items for restaurants and catering including cutlery and straws.